Conforming bandages are binding dressings that stretch and mold to body contours. 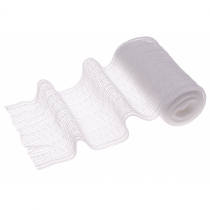 Their ability to adapt around difficult areas of the body make the elastic bandage ideal for use as a secondary dressing or a retention bandage. 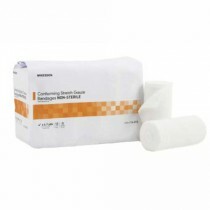 Secondary dressings are used to secure a primary dressing against a wound site; therefore, they are rarely used for application directly to a wound. However, some medical companies now manufacture sterile product and may be used directly against a wound site. Conforming dressings are flexible enough to provide for body movement. 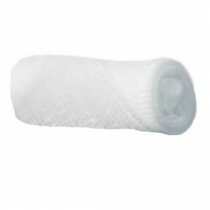 Because of this flexibility, these bandages are suitable for dressing retention on areas of the body that experience high movement like the hand, ankle, wrist, knee, or elbow. 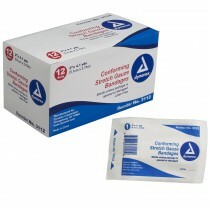 These highly flexible and molding bandages easily adapt to the give and take of movement. They may also be used in locations where their is less body movement such as lower legs and arms, upper legs and arms and torso. Larger bandage widths usually work best for these areas. 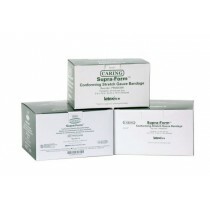 These dressings are available in many options, including Sof-Form, Calamine Inpregnated, and Poly-Rayon. 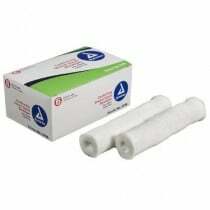 There are also several conforming gauze bandages, including the Conforming Stretch Gauze Bandage from Dynarex, the Conforming Gauze Roll Bandage also from Dynarex and the Cotton Conforming Dressing from McKesson. These medical bindings are breathable. They allow moisture to escape and air to circulate over the skin and around the primary dressing. By providing for air circulation, the risk of infection and inflammation is significantly reduced. 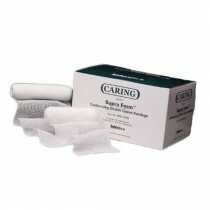 This dressing also significantly reduces heat in the wound area by allowing circulation. 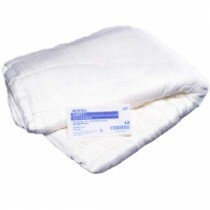 Many variations of these bindings are designed to be absorbent, wicking away any leaking exudate from the primary dressing. Usually this type of dressing employs cotton fibers or another natural fiber in its fabric as the absorbent material. The fabric is soft to the touch and comfortable for the patient. 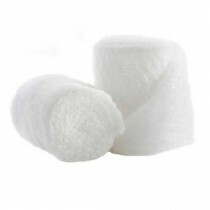 Because these bandages are wrapped with some tension they do not sag or droop. 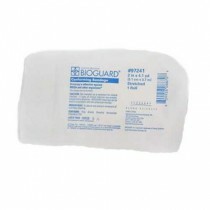 The bandage is designed to cling tightly to itself without sticky adhesives. 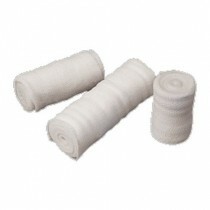 Most do not require any clips, tape or other fasteners to retain the bandage ends. It’s shape and position is held in place with its self-adhesive characteristics. 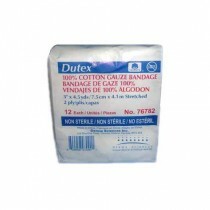 A few of these bandages employ hook and loop closure. Most of these bindings are washable and reusable, reducing patient costs. Depending upon the material selected, many of these bindings are durable for extended use. They are manufactured by many large and respected medical product companies, including Alimed, Andover, Cardinal Health, Covidien, Derma Sciences, Dukal, Dynarex, Hartmann USA, Lohmann & Rauscher, Medline, and Smith & Nephew. Popular brand names include Conform, Elastoplast, Flexicon, Kling, Mediform, PrimaBand, and Sof-Form. Most of these dressings carry one of the following HCPCS codes A6442, A6443, A6444, A6445, A6446, A6447, A6448, A6449, A6450, A6452. What Applications for Self-molding Dressings? 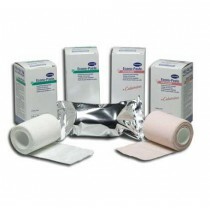 These bandages may be used to secure primary dressings to a wound site. Wrapping the adjacent area as well the primary dressing helps keep the dressing snug against the wound. 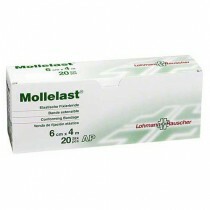 It also helps protect the wound from external contaminants. 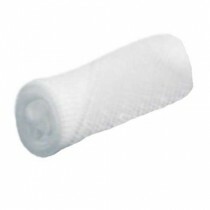 Conforming Stretch Gauze may also be used for hard casts, to hold insulating material in place. For soft casts, they may be used to wrap and keep the cast in place and to protect it from external elements. Splints may also be wrapped and secured. Conforming Gauze may be used to reduce the discomfort some experience from direct skin contact with the mask. Sensitive skin areas can be wrapped to provide a barrier between the skin and the mask. Body flexible bandages may be used in veterinary applications to wrap joints and hold primary dressings in place. Sometimes they are used to prepare animals for shipping. Wrapping leg joints securely before shipment helps to protect legs from sudden movement and jarring. These bandages may also be used while exercising and working animals to keep their legs clean and protected. Width: 2, 3, 4 or 6 Inches. Length: 2 to 10 Yards. Synthetic Fabric Blends: Rayon/Polyester, Poly Blend, Polyester/Cotton. Sterility: sterile and non-sterile versions. Stretching: usually one-way stretching (length-wise). Closure: self-adhesion and hook and loop. Impregnated Options: Calamine, Cationic Biocide or Zinc Oxide. The dressing site should be wrapped firmly in a figure-8 shape to provide added support. Limb areas such as the forearm or calf should be overlapped. The area above and below the injury should be covered. Ensure that the wrap is comfortable to the patient. If numbness or tingling occurs, re wrap less tightly. Malimson, P. D. "Bandages for backslabs: an experimental study." Injury 14.6 (1983): 546-553. Partsch, Hugo, et al. "Classification of compression bandages: practical aspects." 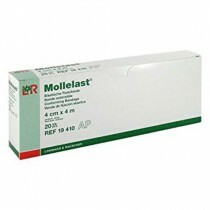 Dermatologic Surgery 34.5 (2008): 600-609. McCollum, Charles. "Extensible bandages." BMJ: British Medical Journal 304.6826 (1992): 520.